Technology and kid’s education are reaching an important crossroad. These days kid’s have access to various technology devices ( smartphones / tablets / laptops). The world of smartphones has also made it possible for kid’s to browse through many choices in terms of available App’s. 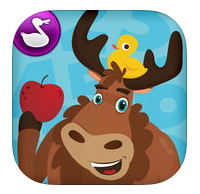 However, its important for parents to help their kid’s make prudent choices of which app’s they pick. Here are some of the educational, fun and safe apps which I let my kids to play so that they can learn and revise their Math concepts. Afterall, Math is fun when you learn through play. I was introduced to this app through one of my friend. 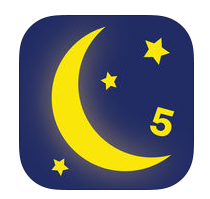 We started reading the Bedtime Math books and later downloaded the app. There is a fun fact story followed by “age-ranged” problems grouped into “Wee Ones”, “Little Kids”, “Big Kids”. The problems are generally focussed on simple addition, subtraction and multiplication operations. The only drawback is that some of the problems for “Wee Ones” are sometimes too easy and sometimes too hard. “Little Kids” problems are sometimes pretty difficult. I think, if there was a hint or suggestion ideas on how to solve the tough problems, it would have been an added advantage. My younger son, Tanmay, loves it and wants to sometime read and solve more than one story. Though, it is called “Bedtime Math”, we prefer to use it in the early evening hours rather than before bedtime. It is one of the most brilliantly designed app which makes reviewing algebra concept so easy. The puzzles start simple and teaches you to balance the two side of an equation with graphics only. It gradually replaces the graphics with numbers and math operators, so that the kid can solve more complex algebraic equations without the need for the graphics. The only drawback is that the app doesn’t teaches you the concept behind the algebra equations and that’s where the role of a teacher is very important. It enforces the rule and doesn’t give you any hints and wants you to figure it out on your own. For example, algebra concepts like, if something needs to be cancelled on one side of an equation, then it needs to be cancelled out on the other side also to balance both the sides, are not explained and needs to be figured out yourself. Initially, I sat with my elder son Manvik when he started playing this app and explained him the reason behind the moves. He picked up really quick and is hooked to it now. 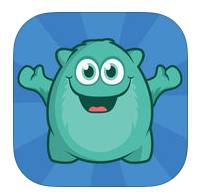 There are also more apps by DragonBox for younger kids but I haven’t tried them yet. This app was recommended by my kids teacher and they love it because it has an option to play with your friends online. 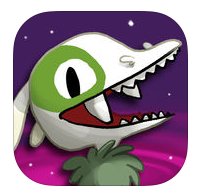 It is a fantasy based app and web game where kids answer math questions correctly to do a spell on the monsters and battle their way through different worlds to free the land of prodigy from the wrath of the Puppet Master. One of the best feature I personally like as a parent about the app is that you can access a dashboard where you can customize the math skills you want your kids to revise. So, if you only want to focus on addition skills for your kid, you can customize the dashboard to only show addition problems in the game. This app is designed for 1st through 8th grade but my kindergartener loved playing it and helped him revise his math skills while playing a game online. This is a fun game to learn counting, addition, subtraction and basic geometry and is perfect for a preschooler or a kindergartener. The game is set in a virtual city with a few different buildings like ‘Moose Juice”, “Puck’s Pet” or “Lost & Found”. Inside each building there are couple of math questions to solve. Once you solve a problem, you are given an item to decorate your building like a silly window or an airplane to put in the sky. Inside the “Moose Juice” building you can learn to make a smoothie and in turn practice counting, additions and subtractions by adding fruits and vegetables to the blender. If you solve it wrong, it turns into a giant mess and lets you try it again. This also helps kid to learn to follow directions. Inside the Puck’s Pet building, kids need to match the number of dots on the mom and baby snails and in turn helps them in their counting skills. Inside the Lost & Found building, kids play dot-to dot game where they need to follow certain rules like counting by 2’s or by 5’s, for joining the dots to help the character find his way back home. In Lost & Found, kids also learn how to identify different geometric shapes, like finding the shape which is different from all others in a group. The instructions are pretty clear and concise and overall its a fun and educational app for little ones to play. What are your recommendations ? Let me know your thoughts in the comment section. Love these ideas! This is something I need for my kids! I would rather get a list from a trusted source that says they are good rather than trying to search and try myself! So much easier if someone just tells me! Keep these types of posts coming – especially free apps – I like the free ones! What about a post for age brackets ie 10-12 year olds?? I’d be keen on that. Thank you Marcella ! I would be making a post for 10+ year old kids soon and would keep you updated.